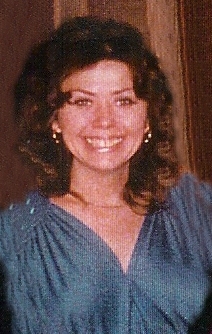 Darlene Hibbard-Walker was born in 1945. She is the daughter of J.C. Hibbard, Sr. and Nellie Bearl Conner-Hibbard. She and her husband, Rev. Merv Walker, son of Rev. and Mrs. Dal N. Walker of Denpasar, Bali, Indonesia, pastor a church in Hawaii. Darlene and Merv were married on Saturday, June 29, 1963 at the Gospel Lighthouse Church in Dallas, Texas. Her father, Rev. J.C. Hibbard, Sr. officiated and Mr. and Mrs. Ronnie Songstad were honor attendants. Darlene chose a peau de soie gown with a cathedral train. A crown centered with a crystal tear drop held her cathedral veil. She carried a bouquet of five orchids. Soon after the glorious leaving of her father, Rev. J.C. Hibbard, Sr. in 1980, Darlene wrote a booklet titled Treasures From The Life And Death Of J.C. Hibbard, a factual account of the miraculous occurrences in Rev. Hibbard's home just before his leaving. Half Brother: Rev. J.C. "Jay" Hibbard, Jr. Copyright © Hibbard Family. All rights reserved.